Good one! What are the odds?! 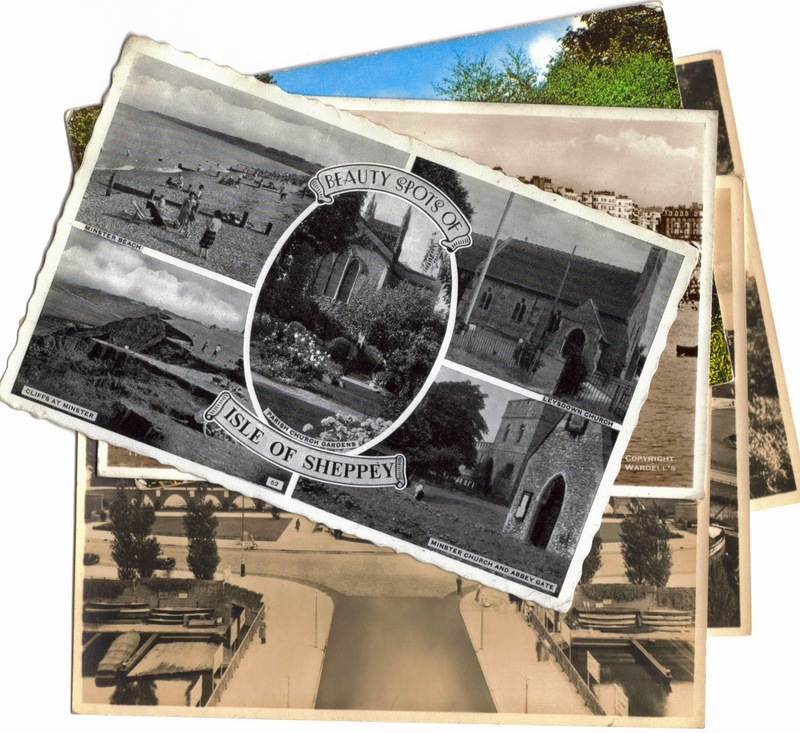 Well here's another coincidence for you - your picture is of a card showing the Isle of Sheppey. Many years ago, as a young woman, this was a stomping ground for me and my family who would sail from Hoo, on the River Medway, and anchor off the Island going ashore to visit the Sheerness pub at the quayside. Okay - my great Aunt Betty went to that college during the 1940's. Met my Uncle Jimmy, married, moved to Winter Haven, Florida!!! It would be a real treat to find something like that!